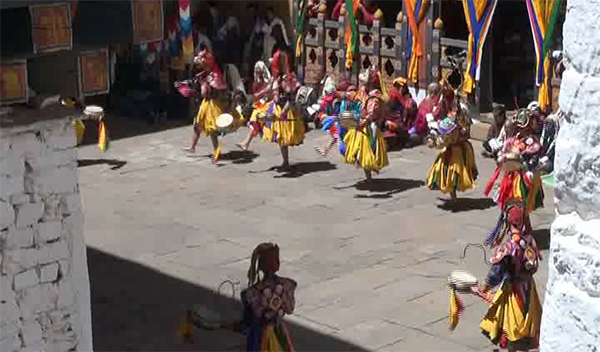 Thousands gathered at Paro Rinpung Dzong to witness the first day of Paro Tshechu, today. The first day of the tshechu, performed inside the Dzong, drew a huge crowd of Bhutanese as well as tourists. On the first day, devotees witnessed mask dances and also received blessings from the sacred relics. Some of the mask dances performed on the first day were the Shinjey yabyum, Durda, Zhana, Dramedtse Ngachham and Boechham. From the second day, the dances will be performed outside at the Deyyankha courtyard. The five-day festival will end on Saturday with the unfurling of the Guru Thongdrel.